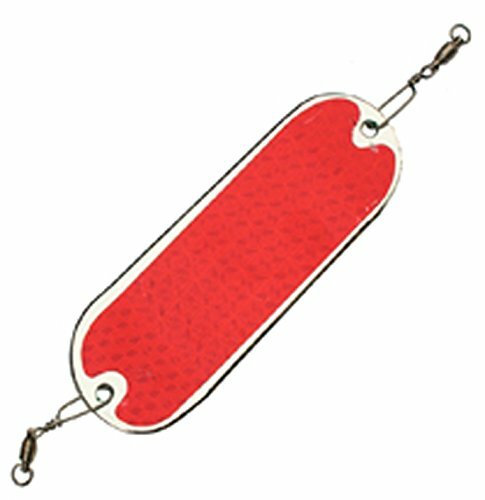 The ProChip 4″ Flasher with an EChip encourages Kokanee/Landlocked Salmon, Trout and Walleye to strike. It includes the patented agitator kicker fin in the tail for added lure action/flash and double ball bearing swivels. The embedded EChip bait technology duplicates the electrical nerve discharge of live bait, which triggers strikes by nearby predators. Field tests worldwide indicate the EChip improves catches as much as 10 to 1. Available in 11 colors and typically trolled 10-20″ ahead of a lure, the flashers are used in-line at slow speeds or dangling off of a ring at any speed. The ProChip 4 took the Kokanee circuit by storm when it was introduced in 2005. A guaranteed cross-sell to the Pro-Troll EChip Kokanee Killer or EChip Trout Killer.